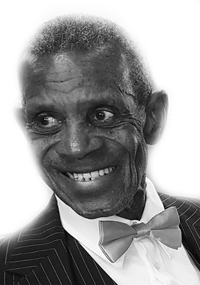 Augustus Funeral Home regrets to announce the passing of Mr. Eldon Stanley Nisbett. A Home Going service for Mr. Eldon Stanley Nisbett, husband to Harriett Nisbett, son of the late James and Francis Nisbett, father to Quinton [Amarito], Malcolm [Shirlene], Erwin Nisbett [Fidelia], Dr. Lynette Woods, Ru-Zelda Severin and brother to the late Eldridge, George, Ronald, Clarence Nisbett, Miriam Osmond, Dolce Samuels in his 94th year formerly of Roberts Avenue, Devonshire will be held at The Seventh-Day-Adventist Church, Hamilton Today, September 14, 2018 at 1:00 pm. Interment will follow the service at The Seventh-Day-Adventist Cemetery, St. George. Relatives and friends may pay their last respects at The Seventh-Day-Adventist Church, Hamilton Today, September 14, 2018 from 12:00 pm – 12:50 pm. Lovingly remembered by grandchildren: Marchelle, Lynniece and Lynnell [Mother Erma], Alvin, Ayesha; great-grandchildren: Marrika, Lynnae, Kya-Lyn, Ni’la and Arianna; great great-grandchild: Messiah; sisters-in-law: Rosalie Anderson, Magdalene Paul; uncle: Sinclair Furbert; nieces: Patricia, Linda Mae, Lillian; several nephews; special cousin: Canon Thomas Nisbett; godchildren: Loderick Holder, Greta Flood, Gladnora Ming, Louise Trimm; special friends: Louis Thomas, Waggoner Hill, Irving Moore, Arthur [Toke Mills], Sherman Hollis, Robert’s Avenue Crew, Hamilton Seventh-day Adventist Church Family.